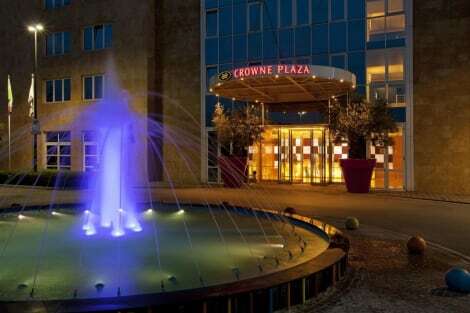 Stylish Padova hotel with a refined restaurant, complimentary Wi-Fi and extensive meeting facilities Crowne Plaza® Padova hotel is just north of the city, near the A4 motorway and only 30 minutes’ drive from Venice. 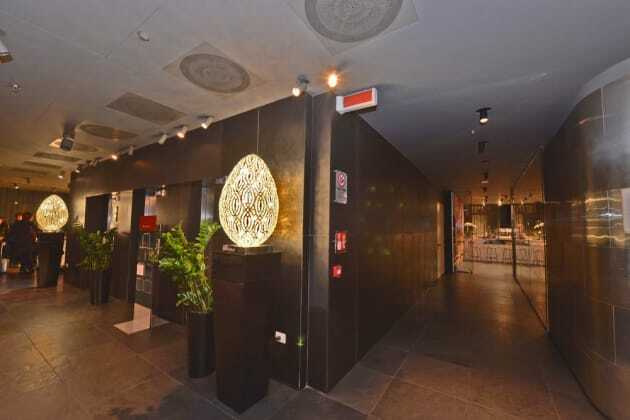 Venice Marco Polo Airport (VCE) is 30 minutes away by car. Our free shuttle departs twice daily to central Padova, and a bus stop nearby provides easy access to the city centre in 20 minutes. The picturesque city has numerous medieval buildings, and stunning canalside statues in the huge Prato della Valle square. Concerts at the Grand Theatre Geox and sporting events at Euganeo Stadium are both within a few minutes’ drive. You can host an intimate business meeting or a gala function in our 16 meeting rooms, and if you’re attending an event at the PadovaFiere, you can be there in ten minutes. At this hotel you can enjoy: - A sauna and mini-gym - Free Wi-Fi throughout the hotel - Free parking Our elegant, air-conditioned rooms all have desks and LCD TVs, while suites have separate lounges and Jacuzzi baths. Our Sleep Advantage® programme helps ensure that you get a restful night, with dedicated Quiet Zones so you won’t be disturbed. Aquattro restaurant serves a unique fusion of Italian, French and Asian cuisines, while our colourful Il Pedrocchino bar is the perfect spot for a drink with friends.